It was a mixed bag unlike in the past when the stay-at-home order by the Indigenous People of Biafra (IPOB) recorded total success as while some cities in the South-east and parts of South-south region were on lockdown, others ignored the order and carried on with various businesses. While the commercial city of Aba in Abia State was shut down following the freezing of businesses and commercial activities in compliance with the directive, Umuahia, the state capital only recorded partial success. 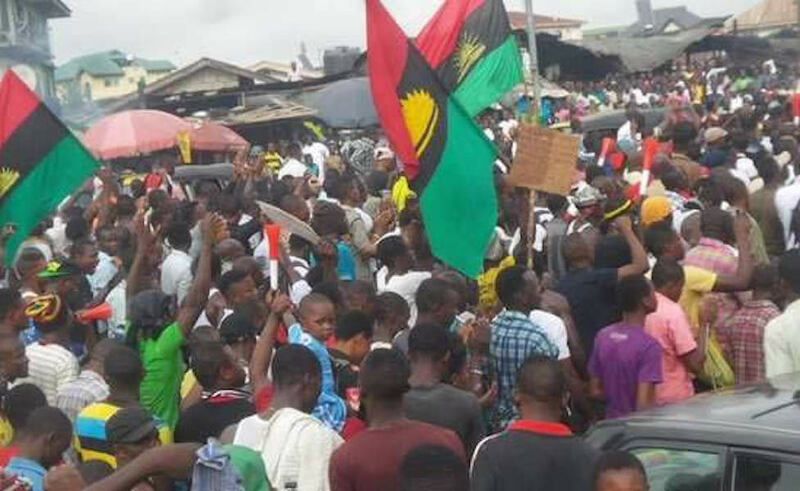 However, in Enugu and Abakaliki, the state capitals of Enugu and Ebonyi respectively, the sit-at-home order was largely observed in breach as people went about their businesses while in Port Harcourt, Rivers State, four drivers who plied the Onne-Oyigbo axis were allegedly abducted by suspected IPOB members while no fewer than 15 trucks were allegedly burnt. The group had directed “that every Biafran, both home and abroad, is expected to stay indoors, away from work, market and roads” on Friday to mark the anniversary of the September 14, 2017 military invasion of the home of its leader, Nnamdi Kanu. Residents of Aba, characteristically seen as the stronghold of IPOB obeyed the directive as markets were closed for what some said was fear of attacks. But in Umuahia, the capital city the impact of the sit-at-home order was not totally felt as businesses were in full swing though the streets were devoid of the heavy traffic usually witnessed on Fridays. However, both public and private schools that reopened for the new session on Monday did not open their doors. In Anambra, there were some level of compliance in Onitsha where businesses and banks closed their doors, but Awka and Nnewi and other parts of the state recorded skeletal services by public institutions. It was alleged that town criers were employed by IPOB to disseminate the directive, leading to partial grounding of activities. In Onitsha, markets, banks and schools were under lock, while traders were seen in streets playing football. Street traders were, however, seen doing business. IPOB, however, claimed success and total compliance while the police contradicted the claim, insisting that the directive went unheeded. Meanwhile, the Eastern Consultative Assembly (ECA) which is a coalition of civil society organisations has commended the people of South-east for complying with the sit-at-home order, describing it as victory for IPOB. “In spite of all that was done surreptitiously to both threaten and induce people to come out to defy the IPOB order, yet the people complied over 85 per cent. That says it all: IPOB has defeated its adversaries. They will define the direction, tone, and eventual outcome of the general elections five months away,” the ECA scribe said. While IPOB insists that the compliance was total, Anambra Police Command commended the people of the state for shunning the directive and going about their duties. A press release by the publicity secretary of IPOB, Mr. Emma Powerful stated that the entire South-east was locked down. He said there were attempts by some ‘compromised’ Igbo leaders to sabotage the exercise, but their moves failed. “Huge sums of money has been promised to journalists of all newspaper houses not to issue even an interim report on the sit-at-home because it recorded over 90 per cent compliance. He said the Command deployed adequate security to all nooks and crannies of the state including critical government instalations, while undercover operatives were also deployed to gather intelligence. The release read: “Meanwhile, enhanced visibility patrols and Joint show of Force of all security agencies within the neighborhood and highways are ongoing. All major entries and exit routes in the state are well secured. However, some of the markets visited including the Main Market, New Market and Timber Market were deserted as most of the shops remained under lock and key. In Enugu, although the entrances to these markets were wide open, most of the traders did not open for the day’s business, apparently in compliance with the order. The poor compliance by residents is being blamed on the call by a faction of MASSOB led by Chief Ralph Uwazuruike, the Ohanaeze Ndigbo among others which asked Ndigbo to defy the sit- at-home order. It might not be unconnected with the security arrangement by the government of Enugu State and the security agencies that assured the people to disregard the order and go about their businesses. Police personnel had been deployed from Thursday night in various parts of the state, even as the Joint Security Patrol, comprising the Army, Police, DSS, Air force, continued in their operation show force in the state. 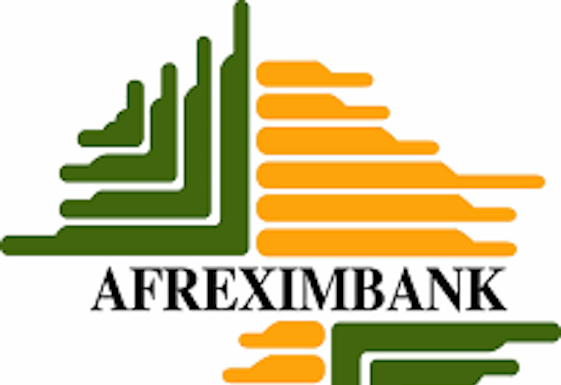 At Agbani road, Ogui Road, Trans-Ekulu and Abakpa Nike Market axis there was heavy traffic as people were struggling to go to their work and business places. In Rivers State, the Police Command confirmed the arrest of 18 suspected members of IPOB following the violence in parts of Oyigbo Local Government Area of the state. THISDAY gathered that the abduction which occurred in the early hours of Friday, forced many businesses in Oyigbo Local Government Area to close down to avoid attacks. Secretary of the National Union of Road Transport Worker (NURTW), Onne Branch, Mahmud Lawal, who confirmed the disappearance of the four drivers, said two of his trucks were set ablaze by the hoodlums. Lawal stated that other trucks conveying goods such as rice, beans, fertilisers and baking flour were also set ablaze by the bandits, adding that about N1.2 million placed in some of the trucks were stolen by the bandits. His words: “We were informed that it was IPOB members that set our trucks ablaze. Some of the trucks set ablaze were conveying goods outside Port Harcourt. Others were parked along Port Harcourt-Aba Express Road by Oyigbo Timber Junction. Some other ones are coming into Port Harcourt through Oyigbo. “The trucks were loaded with 30 tons of beans, 30 tons of fertilisers, 30 tons of rice and were on their way to their various destinations before they were attacked. Meanwhile, the Rivers State Police Command has said it arrested no fewer than 18 suspected members of IPOB over the incident at Oyigbo. The Police Public Relations Officer (PPRO), Omoni Nnamdi (DSP), told journalists in Port Harcourt that the suspects have been transferred to the State Criminal and Investigation Department (SCID) for further interrogation. He said the police did not anticipate the attack since IPOB had been proscribed by the federal government. He said: “They are members of the IPOB that has been proscribed. They took laws into their hands and unknown to us, they attacked trucks parked along the road and burnt about three vehicles. “When our men got the hint and went there, we couldn’t get anyone of them. They disappeared into thin air. But 18 of them have been arrested and transferred to the State CID for further investigation. “We have been able to restore normalcy in that area. People are now going about their lawful businesses. The whole area is calm. For whatever reason, IPOB is a proscribed organisation. Although there was no compliance with the directive in Ebonyi State, transporters had no buses going to Onitsha or Aba in Anambra and Abia states respectively. Shops, motor parks, banks and other major businesses remained open in the city from 8a.m. in disobedience of the order by the pro-Biafran group.